Planted on a vineyard facing north-south, the property ejoys an optimum sunlight situation. Successive generations managed to combine traditional wine making methods with modern oenological technologies. These improvments help providing the care neede for the production of a quality wine. 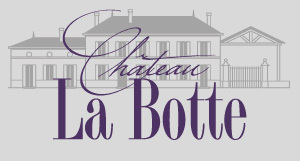 The wine of Chateau La Botte mature in tanks and barrels for a year on average, according to their quality and characteristics. This results in red wines with fruity, generous favour, well balanced, giving off a rare bouquet and acquiring quality and maturity over the years. Dry white wines are crisps and delicate, wwith subtle hints of Sauvignon. M Blanchard also produces a Bordeaux rosé with vibratn colours, and fruity flavours, a white and rosé Crémant de Bordeaux traditionally harvested and a Bordeaux Brandy. Clay and limestone of the quaternary period.